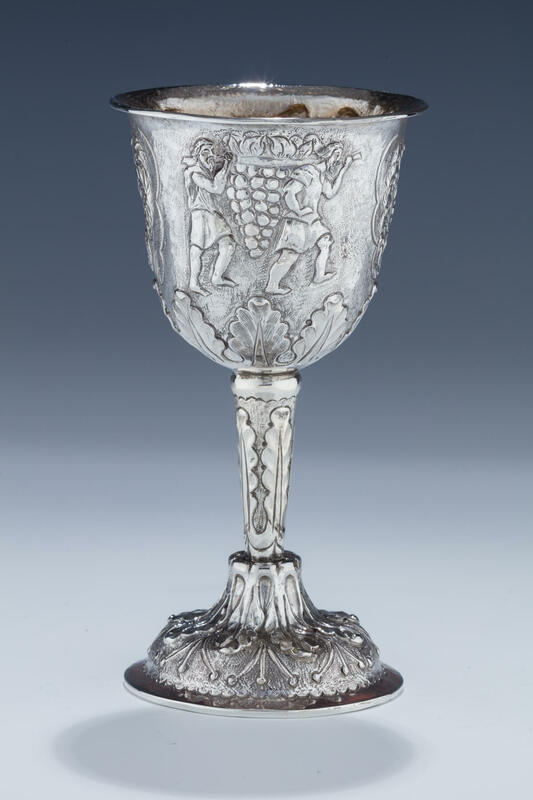 A MONUMENTAL SILVER GOBLET. Continental, 20th century. Decorated with the scene of the spies and Adam and Eve being evicted from Gan Eden. 7” tall.